Boston, MA - (February 28, 2019) - Major League Lacrosse (MLL) takes a look into draft prospect and Duke midfielder, Brad Smith. Smith may be one of 63 players selected in the draft. 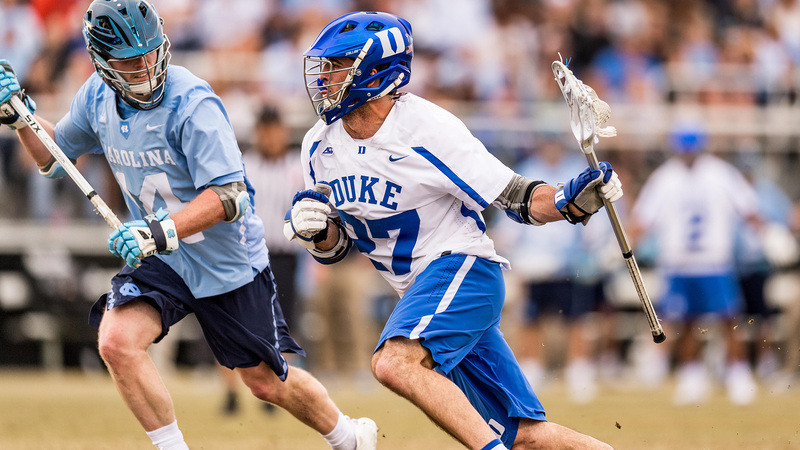 Last season with the Duke Blue Devils, Smith played in 20 games with 19 starts at first midfield, he was named USILA All-America first team, All-ACC, he was second on the team in scoring with 29 goals and 36 assists for 65 points, he ranked 24th nationally in assists per game (1.80), he was third in the ACC in points per game (3.25) and he had at least 1 point in all 20 games and scored three-plus points 12 times. At the beginning of the 2019 season, Smith was named first-team Inside Lacrosse's Preseason Media All-American. Smith's 4 goals, 7 assists, 7 ground balls and 1 caused turnover have aided to the Blue Devil's success this season. Smith is a product of Morris County, New Jersey, where he was voted the New Jersey State Player of the Year as a senior at Mountain Lakes High School. Will Brad Smith follow these Blue Devils into the ranks of Major League Lacrosse? Tune into Lax Sports Network on March 9 at 7pm to see if Brad Smith will be one of the 63 players to be drafted in the 2019 MLL Draft presented by Cascade.